Former BBC Gardeners’ World presenter Toby Buckland is on a mission to re-kindle the nation’s love affair with herbs. 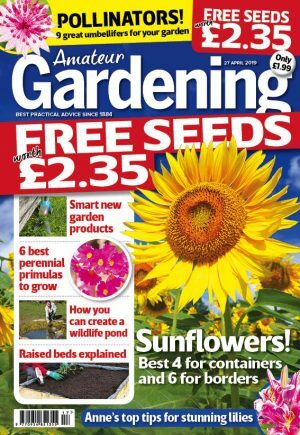 AG columnist Toby Buckland will become president of The Herb Society in December, taking over from herb guru Jekka McVicar and following in the footsteps of TV gardener Sarah Raven and celebrity cook Sophie Grigson. “I’ve always been a champion of herbs; I’ve always grown herbs and I’ll be promoting their benefits,” said Toby Buckland. The TV gardener said the nation had become “disengaged” with growing herbs. Old, basic knowledge that was once “second nature” has been lost, leaving many without the know-how of how to make food taste better. “To lose such knowledge, such as putting rosemary in hot water to soothe a cold, or using mint if you feel that you’ve over-indulged, would be a tragedy,” he said. Toby, who listed his favourite herbs as coriander, basil, Oregon, mint, rosemary and “too many others to list” said he would act as a figurehead for the Herb Society. The society, which charges £27 for annual membership, was founded in 1927.